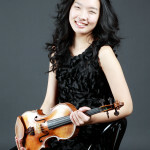 Violinist SooBeen Lee has been called “Korea’s hottest violin prodigy” (Hancinema). She has already appeared as soloist with every major Korean orchestra, including the Seoul Philharmonic, Busan Philharmonic Orchestra, and KBS (Korean Broadcasting System) Symphony Orchestra. She won First Prize at the 2013 Moscow International David Oistrakh Violin Competition and First Prize at the 2014 Young Concert Artists International Auditions. 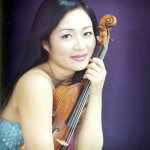 Violinist Stephanie Jeong was appointed Associate Concertmaster of the Chicago Symphony Orchestra in the fall of 2011 by Music Director Riccardo Muti. Prior to joining the CSO, she was a member of the New York Philharmonic from 2010-2011. 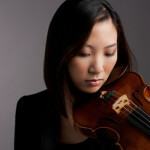 The top prize winner and recipient of the Best Paganini Concerto Prize of the 2008 Paganini Violin Competition in Italy, Jeong made her solo debut at age 12 with the Chicago Symphony Orchestra as winner of its Feinburg Competition and with The Philadelphia Orchestra as winner of its Albert M. Greenfield Competition. Violinist Hyuk-Joo Kwon was the 1st prize winner at the 7th Carl Nielsen Violin Competition 2004 and received the special prizes as a best performer of Denmark Composition and a young popularity vote. 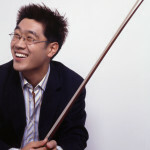 In 2001, Hyuk-Joo graduated from the Moscow Central Music School and entered the Moscow Conservatory, where he today continues his studies with Professor Grach. That October he won the Grand-prix in the Kloster- Schoental Competition in Germany. 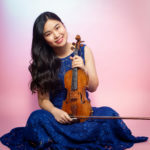 Lauded by Krzysztof Penderecki as the “next Goddess of Violin,” violinist Ju-Young Baek made national headlines in Korea with her appointment as the youngest faculty member of the prestigious Seoul National University. In addition to her appointment, Ju-Young Baek enjoys an extensive international career. Many of world’s most important venues such as Carnegie Hall, Lincoln Center in New York, Philadelphia’s Kimmel Center, Kennedy Center in Washington D.C., Suntory Hall in Tokyo, and Seoul Arts Center, have presented her in recitals as well as a soloist. 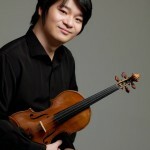 Soovin Kim won first prize at the Paganini International Competition when he was only 20 years old. He was later named the recipient of the Henryk Szeryng Career Award, an Avery Fisher Career Grant, and a Borletti-Buitoni Trust Award. He has built on the early successes of his prize-winning years to emerge as a mature artist equally gifted in concerto, recital, and chamber music repertoire. Catherine Cho is recognized for her remarkable virtuosity, combining technical mastery of her instrument with an extraordinary and distinctive musicality. Praised by The New York Times for her “sublime tone”, she has appeared worldwide as soloist with many orchestras and chamber ensembles as well as in recital. 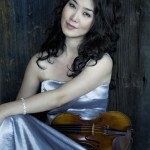 Winner of the 1989 Young Concert Artists International Auditions and the 1990 Avery Fisher Career Grant, Chee-Yun performs regularly with the world’s foremost orchestras, including the Philadelphia Orchestra, the London Philharmonic, and the Toronto, Houston, Seattle, Pittsburgh and National symphony orchestras. In August 2007, she was appointed Artist-in-Residence and Professor of Violin at Southern Methodist University in Dallas.